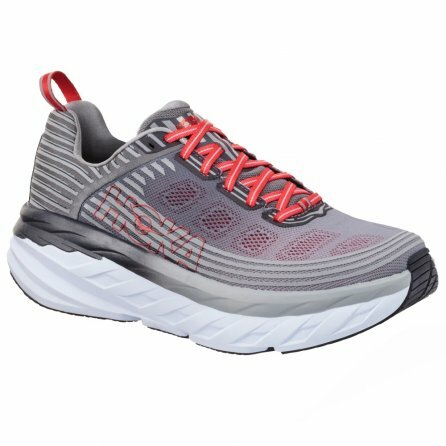 The Hoka ONE ONE Bondi 6 Wide Running Shoe provides the most cushion of any shoe HOKA ONE ONE makes, in a wider model for larger feet, which really is saying something. Being able to pack more cushion into the compression molded insole means you get more impact absorption and a smoother ride, while Early Stage Meta Rocker provides a smoother transition from footstrike to toe-off. Up top support comes from a Lycra Comfort Frame and Engineered Mesh Upper, which wraps around your foot and ankle, holding you in place while providing enhanced breathability.